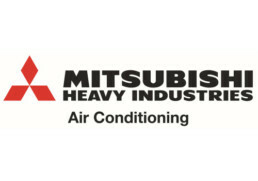 We are a specialist air conditioning company based in Basingstoke, Hampshire who design, supply, install and repair commercial air conditioning systems. Our commercial air conditioning solutions allow you to provide a consistent and comfortable temperature to both your clients and employees. Managing the temperature throughout the year can also bring cost saving advantages. We know that our customers’ requirements are as individual as them when it comes to maintenance and support requirements. After purchasing the right air conditioning for your business, we ensure to protect your investment. With a professional air conditioning system installation in place you can balance your environment to fit your exact requirements. Our commercial air conditioning solutions allow you to provide a consistent and comfortable temperature to both your clients and employees. Managing the temperature of your office, retail, hotel or business premises effectively throughout the year can also bring cost saving advantages. Our installations give you control over the temperature in different areas of your buildings and allow you to not only manage your building more effectively but also increase efficiencies and reduce energy consumption by up to 30%. Create the perfect environment and reduce energy consumption. As an independent supplier we work with the industry’s leading suppliers allowing us to select the right solution for your needs. As the range of energy efficient air conditioning solutions available increases each year and each offering a different combination of benefits our experience allows us to identify the right fit for your needs. The Enhanced Capital Allowance (ECA) scheme enables businesses to claim a 100% first year capital allowance on investments in certain energy saving equipment, against the taxable profits of the period of investment. There are often additional benefits of purchasing ECA qualifying energy efficient technologies that could include improving cash flow and a reduction in energy bills. For more information on the right air-conditioning system for your business or how the ECA Scheme could offer additional benefits contact us today. With over 25 years’ experience in the air conditioning industry we bring skills and expertise to provide the right solution every time. With a fully skilled team of engineers working with a range of products from the world’s leading manufacturers we can transform your environment and also show you how to make both energy and cost saving benefits. Investing in new air conditioning ticks many cost saving financial boxes and will continue to if a maintenance plan is put in place. The Enhanced Capital Allowance (ECA) Scheme is a key part of the Government’s programme to manage climate change. It provides businesses with enhanced tax relief for investments in equipment that meets published energy-saving criteria. You may have heard about R32 but do you know the reasons why this next generation refrigerant is so important? A quick round up of the multiple benefits this new refrigerant brings. Genuine First Class Company. We have had multiple air-conditioning units installed by Ocean Air Conditioning and on all occasions the equipment installed, workmanship and professionalism has been A1. They are reliable, friendly and knowledgeable installers who get the job done efficiently with the absolute minimum disruption to business activities. We would highly recommend this company. Just Kampers have used Ocean Air-Conditioning for the past eight years and we would have no hesitation in recommending them to other businesses. Whether it’s regarding a new installation or maintenance of our existing units they are always quick to respond and offer an extremely efficient service. We have used Ocean Air Conditioning on a number of occasions when offering a full turnkey project to our clients. On every occasion, they have been reliable and have provided extremely competitive costs for good quality equipment. When on site, the fitters are tidy, the quality of work is excellent, they are polite and represent us well in front of our customers. We will continue to use them for all our air conditioning works in the future. We have used Ocean Air-Conditioning for the past 6 years and have found the company to offer an excellent and professional service, they are polite, efficient and exceptional value nothing has been too much trouble for them. We would highly recommend them to any organisation or business.